Celebrating Thanksgiving & counting our blessings inspires us to be grateful and to reach out to others in fellowship. During the month of November as we prepare to gather together to celebrate Thanksgiving, we are reminded of our many blessings, big and small. We appreciate the wonderful people and pets in our lives and are grateful for our country’s bounty. 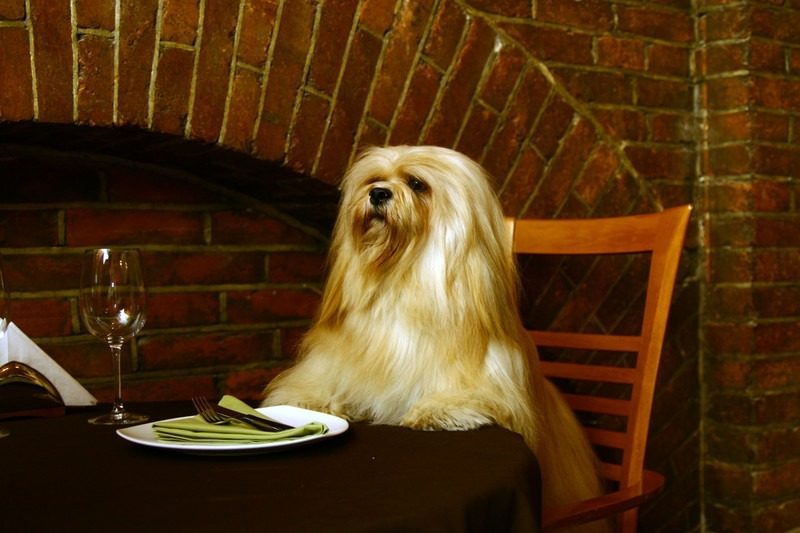 As we prepare for this year’s holiday feast, all of us at Pet Factory wish you and yours a very Happy Thanksgiving! Thanksgiving and the coming holidays provide wonderful opportunities to share the love with the special people and pets in our lives. Make this the best Thanksgiving ever for your pup. Don’t forget your pup! Along with all the preparations for celebrating Thanksgiving, it can be easy to lose track of your pet’s needs. Keep their routine as close to normal as possible and be sure to give your dog attention and exercise. They will enjoy a cuddle on the couch while you watch the Macy’s Thanksgiving Day Parade or a NFL football game. Tip: Hit the couch early for the classic Thanksgiving Day match-up when the Detroit Lions host the Chicago Bears at 11:30 CT. Guests enjoy sharing this important holiday with you and your pets. Let them know of your dog’s special needs. Stow guests’ bags and purses up and out of harm’s way. 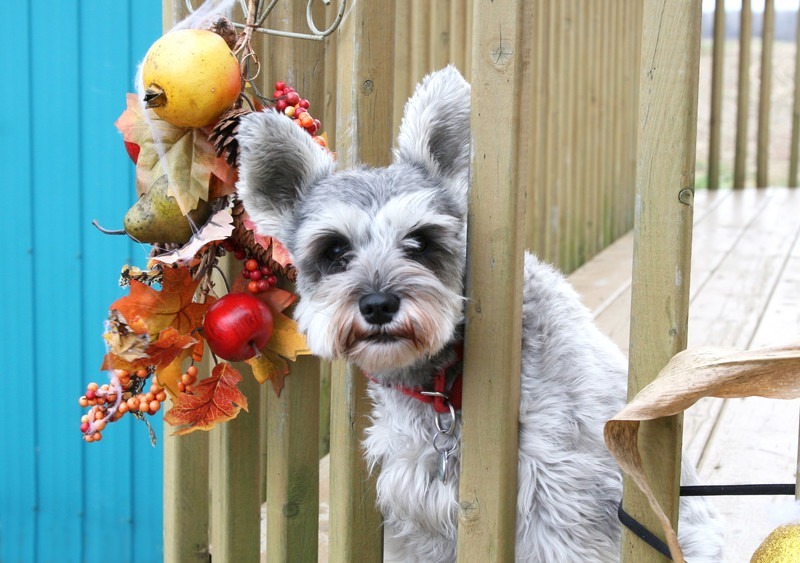 Ask your guests to be careful when coming in/out of doors – it’s easy for pups to slip out unobserved – make sure that your dog is wearing his collar and identification. Watch for dogs when coming in and out of doors. It’s easy for pups to slip out unobserved. No matter where you’re celebrating Thanksgiving, everyone looks forward to a delicious feast. Traditional foods like turkey, sweet potatoes and cranberries are delicious – but save them for the people. Veterinarians warn against feeding table scraps to dogs. Instead, treat your pup and reward their good behavior with delicious Pet Factory all-natural beefhide chews. Keep treats and toys on hand for guest pups too! With the Christmas season right around the corner, pick out a few special gifts for your favorite pups. 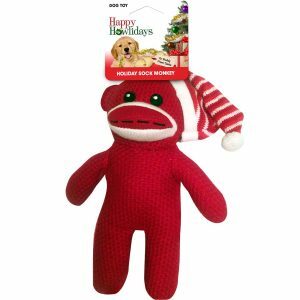 Pet Factory beefhide chews and Logical Pet toys are a great holiday gift idea and are time-tested ways of sharing the love. Keep your dog entertained for hours fetching, tugging, playing and chewing on our colorful, durable toys. 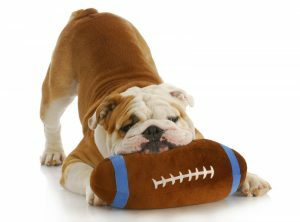 Find Pet Factory beefhide chews and Logical Pet toys online, at National retailers, or at your local pet supply store. Celebrating Thanksgiving inspires us to make a difference. Especially at this time of year, we look for ways of helping people and pets. Our staff, family and friends take this opportunity to volunteer at pet shelters and contribute funds & supplies to local pet organizations which make life better for dogs. We also host a food packing event at our factory in November to benefit Feed My Starving Children (FMSC). The nutritionally complete meals that we pack are especially formulated to help malnourished children who are in desperate need. Learn more about the life-saving impact of FMSC’s work here. 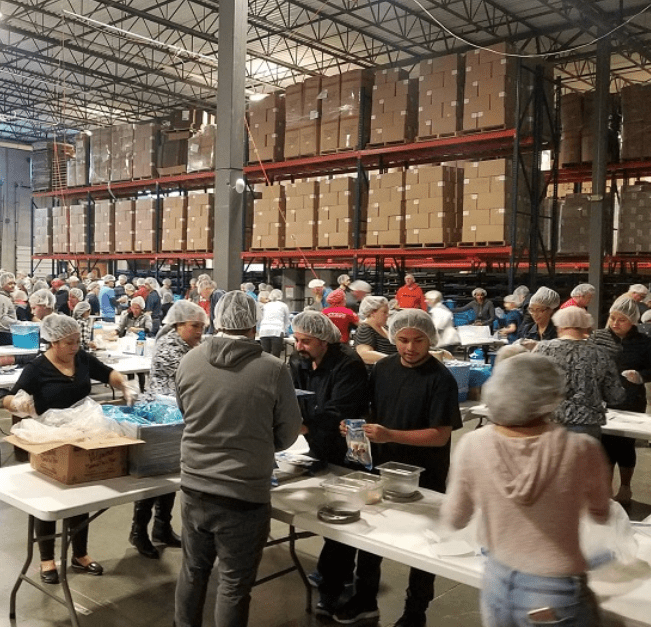 Pet Factory hosts an annual food packing event at our factory to benefit Feed My Starving Children. At last year’s event, we packed over half a million meals and more than $135,000 was raised to pay for the meals that were transported to South Sudan and Uganda. Our goal this year is to raise $179,625 and to pack over 800,000 meals. You can make a donation or volunteer to pack meals at Hunger to Hope Lake County MobilePack on the weekend of November 30 – December 2. Over 3,800 volunteers are needed to fill many shifts. Through everyone’s efforts, kids are fed and lives are saved. All of us at Pet Factory wish you a wonderful Thanksgiving and a happy holiday season!